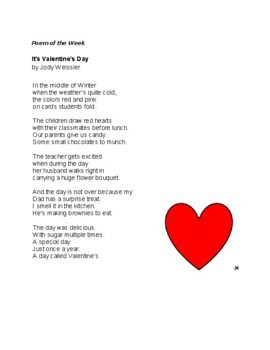 A great poems of the week called "Valentine's Day" by Jody Weissler. This poems of the week is great for HW Packets and could be read daily by students during morning business. We know you will enjoy this Valentine's Day Poem. 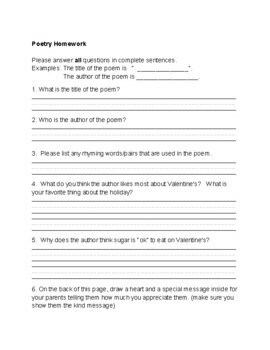 This poem of the week also includes questions to go along with the poetry.